Boutique Eau de Vie is Back! Ah, The Little Engine That Could. You remember that tale. Toy train gets stuck on a track. Fancy trains pass by it in a hoity toity huff. Small, boutique Cognac house saves the day with its charm and dogged determination. Or, you know, something to that effect. See, the flashy big trains/Cognac houses are nice and all, but there’s something about those small, hard working underdogs that nab us right in the palate. Now, we’re not telling you to NOT reach for your favorite big name, we’re simply saying that sometimes, the hard-working little guys can also get you where you want to go on the majestic Cognac track—and perhaps even a bit further. In the Cognac region, you’ll find some pretty popular names. But look a little deeper and you’ll find small, boutique houses that give the big boys a run for the money; many of them with a long, storied history dating back several centuries. Yep, centuries. And the truly amazing thing is? They’re keeping with tradition and making their juice the way they always have—and that’s some fine news for your snifter. Some grow their own grapes, while others source from the cellars of legendary Cognac houses. But these boutique shops share one thing in common: their Cognac is the finest in the land—despite the smaller purse strings. Sipping is believing. Ready to taste? Climb aboard the Eau de Vie Express! 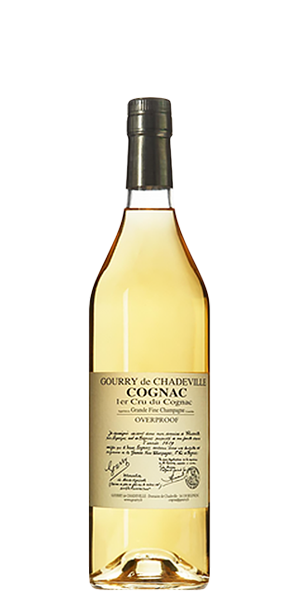 1) Cognac’s tale begins with the Ugni Blanc white grape. You’ll find it in Midwest France—the Cognac region, to be exact. The wine made from this grape is pretty rough, though. Acidic, dry… something you wouldn’t serve your sworn enemy. Fortunately for our palates, some winemakers discovered that it’s the perfect stuff for distilling. Throw in some necessary cask aging and you’ve got the magical elixir they call Eau de Vie, or Cognac. 2) All Cognac is Brandy, but not all Brandy is Cognac, ya dig? Brandy is essentially any kind of distilled spirit made from fermented juice. 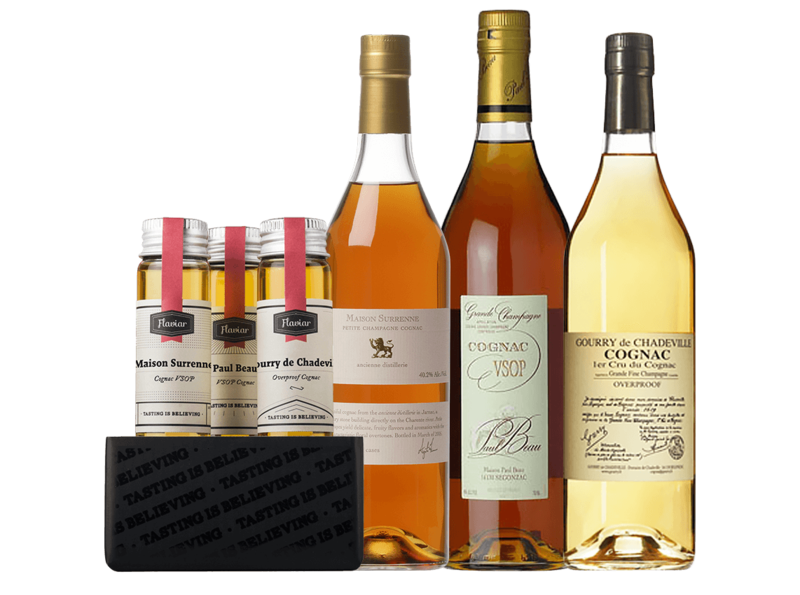 But in order for a Brandy to be considered a Cognac, it must be produced in the Cognac region of western France, a couple hundred miles southwest of Paris, and just a bit north of Bordeaux. 3) The Gourry de Chadeville family has been cultivating their vineyard in Segonzac since 1619. 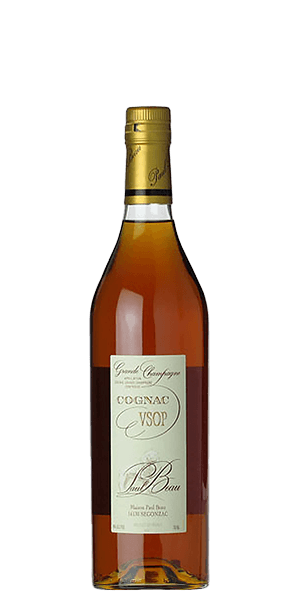 According to their records, this makes them the Cognac house with the earliest origins in the region. 4) There’s a fungus among us… but this particular one signals the location of a very good thing. Baudoinia compniacensis is a black fungus which resides in the vicinity of distilleries, spirits maturation facilities, bonded warehouses and large bakeries. It won’t hurt you—and it’s a sign that our spirit of choice is in the making very nearby. 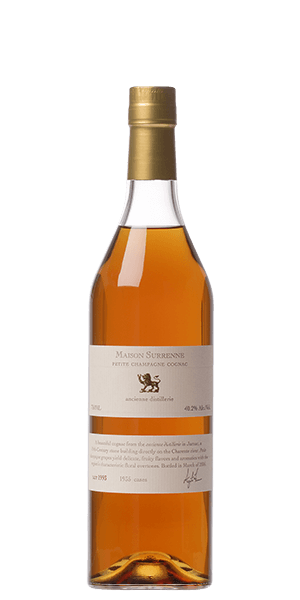 5) Maison Surrenne ages their Eau de Vie in oak casks located in a cool, stone-walled cellar. The east wall of a cellar—located across the river from the home distillery—was once the old city fortification wall of medieval Jarnac. - V.S. : "Very Special" or “Three Stars,” designates a blend in which the youngest Brandy has matured in a cask for at least two years. - V.S.O.P. : “Very Superior Old Pale" designates a blend in which the youngest Brandy has matured in the cask for at least four years, but the average age of the wood is much older. - X.O. : "Extra Old” designates a blend in which the youngest Brandy is matured at least six years, although on average it’s upwards of 20 years. On April 1, 2016, the minimum maturation age of the youngest Brandy used in an X.O. blend will be bumped up to 10 years. 7) Rancio. No, it isn’t a Harry Potter spell meant to turn a mortal enemy’s food rancid. It’s a Spanish-derived term that describes the funky, earthy, umami quality that’s found in fruit-based spirits like Cognac, Calvados and Armagnac. It appears in Cognac after roughly 10 years of aging in oak casks. Brandies from here and there. Nice selection of boutique-y cognacs (to a novice, at least). Good variety, great quality.